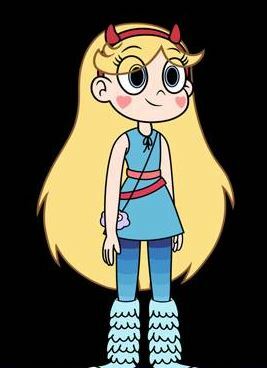 A 14 year old Star Butterfly is sent to Earth in order for her to be a responsible princess. Her hair is so noticeable that if you wear it all eye’s on you. Try our Persephone which you can blow dry to add more volume or the Hera wig for a livelier version. With a few adjustments you are ready to face new adventures as Star Butterfly! This is Marco Diaz, even if he is irritable sometimes, he is charming in his ways. To get that charismatic look, our wigs Aether and Apollo is the best choice. Just put the bangs to the side and add in hair gels and a little bit of trimming! Princess Pony Head sure is a fun friend to be with. She’s the life of the party, as you’ll notice her pink hair’s one of her assets. Check out our Nyx and Hestia and see what suits you best. Both are easy to style! Tom Lucitor is a demon prince of the Underworld. Let’s test your temper if you try the Apollo wig. You can use a hair gel to spike up that hair. If you’re having second thoughts then the Atlas is another option. Kelly at first, was thought to be just made out of ginormous aquamarine hair then not long ago showed her true appearance. What’s the best wig for Kelly’s hair? Hera is highly recommended, ready to use. If you want to style it a bit, we also have Hera Mint Green Mix for a darker version. This girl is cooler than you think, Jackie is great at skateboarding and is a laid back person. Her hair is also cool because of the minty highlights on her blonde hair. Aries wig is the closest replica of Jackie’s hair then add a little of Green Weft Extensions. If you want it longer, then Hestia is what you’re looking for. Former queen of the Kingdeom of Mewni, Queen Ecplipsa Butterfly which looks scary on the outside but definitely has a sweet tooth. This long Hestia Emerald Green wig defines everything about her. For a more calming color, we also have Forest Green Mix.